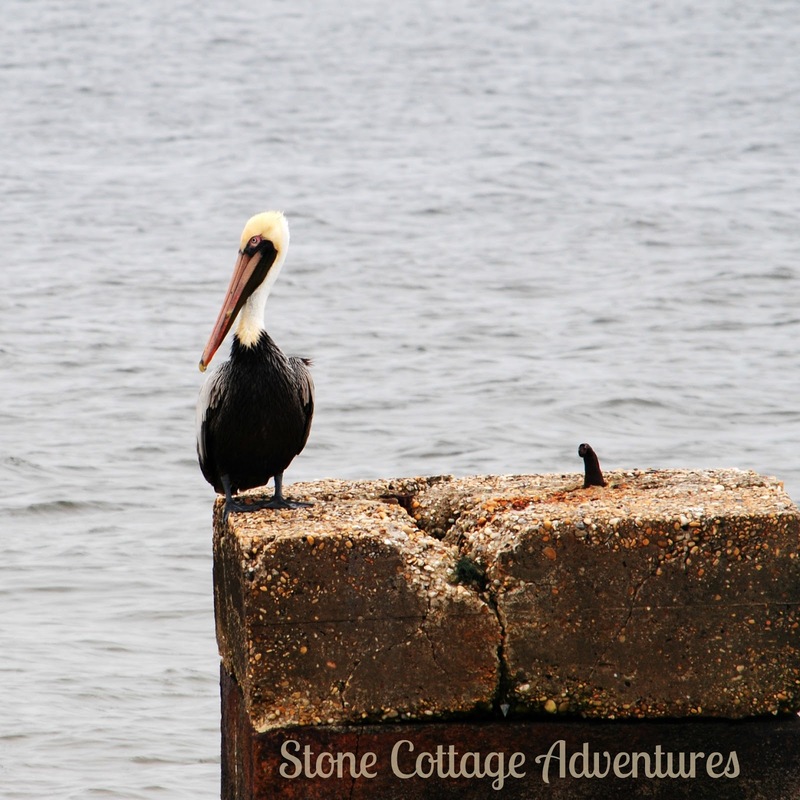 These photos were snapped near Fort Morgan, Alabama in February while we were on vacation. Can you tell I was pressing the button as fast as could? ;-) Since we live in Arkansas, I really don't know much about pelicans. They are fun to watch as they dive into the water. 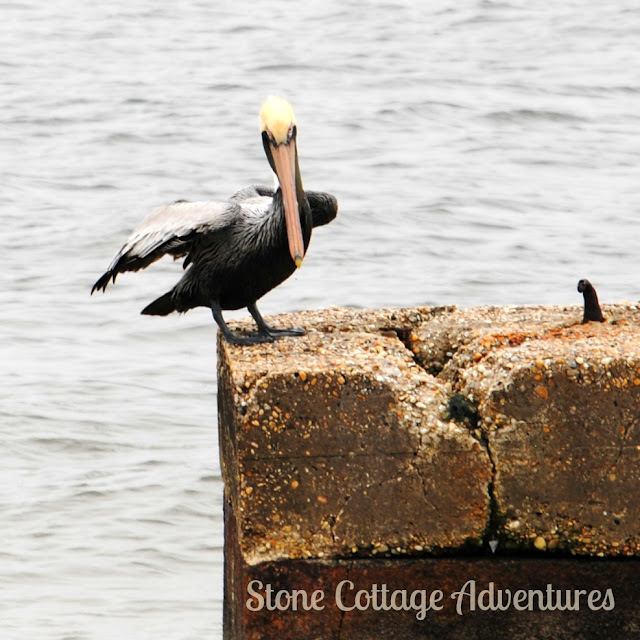 If you are knowledgeable about pelicans, I'd love to learn more about them! There are more wildlife photos on my GARDEN PAGE. Take a look! You were very quick on the shutter! 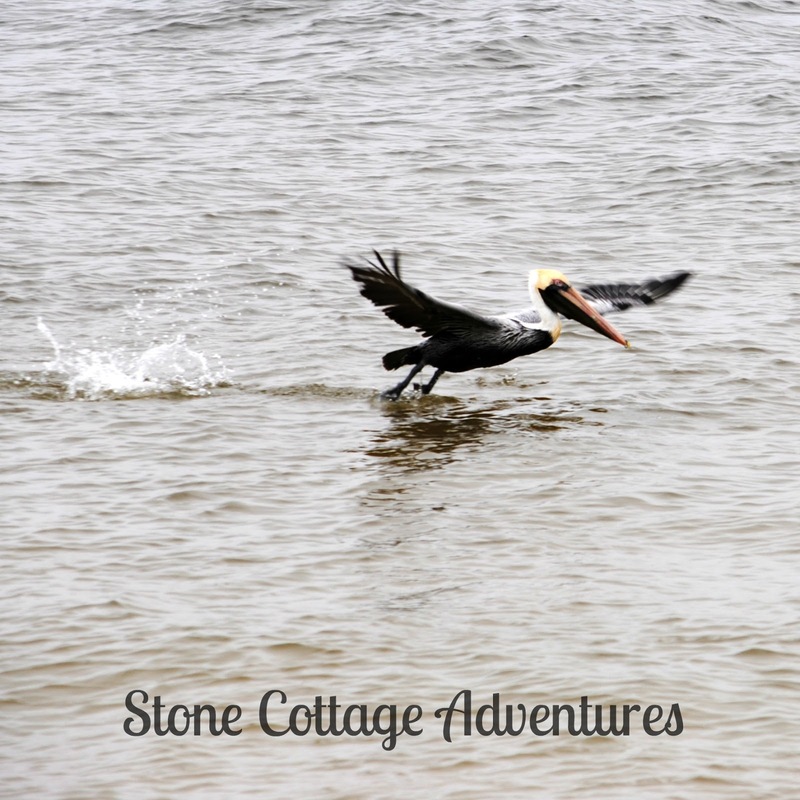 Great captures, I love pelicans and could watch them all day, sadly they are not native to Normandy, France but whenever we're in Hilton Head I can see them everyday. You know that I am in awe of your photography skills Marci! Taking something like this is so hard with a moving object. The Pelicans certainly gave you a show. Hello Marci, love your pelican photos. They are one of my favorite birds. Great captures! Thanks so much for linking up and sharing your post. Happy Saturday, enjoy your weekend! 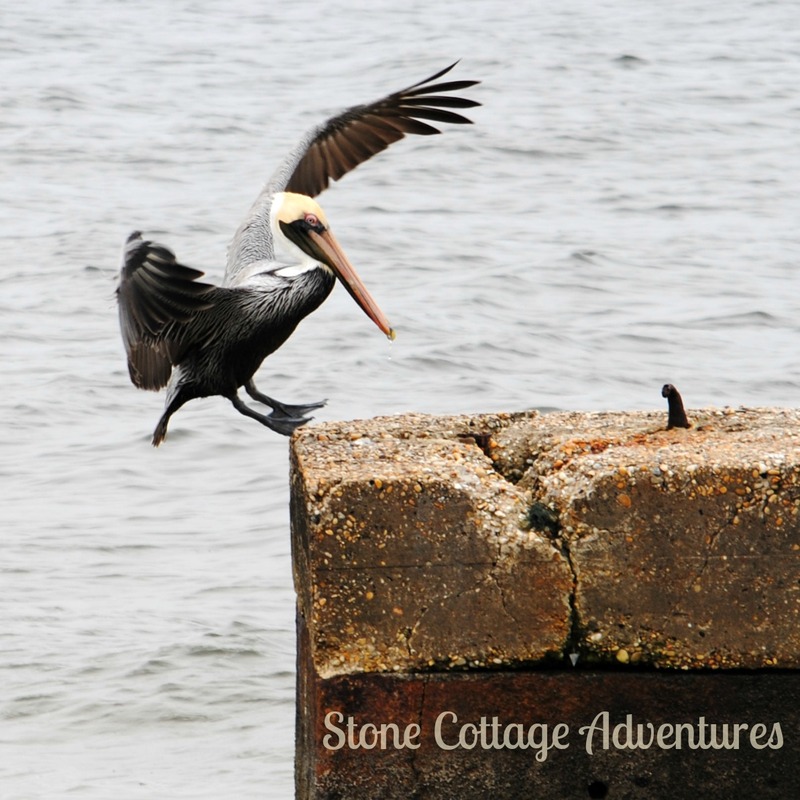 Love the shots you have gotten of this majestic pelican. I think they are such photogenic birds and fun to watch. good shots! I live in north Mississippi, so the extent of my Pelican knowledge is that there are Brown Pelicans and there are White Pelicans! I once went to Reel Foot Lake in the northwest corner of TN to a pelican fest. They flew out that morning and I missed seeing any. I know nothing about them but was surprised to learn they pass this way as they migrate. Maybe one day I will see them. Nice pictures! Great photos. We stopped in Virginia (on the shore) last year returning from our family vacation and my mother in law pointed out all the pelicans. 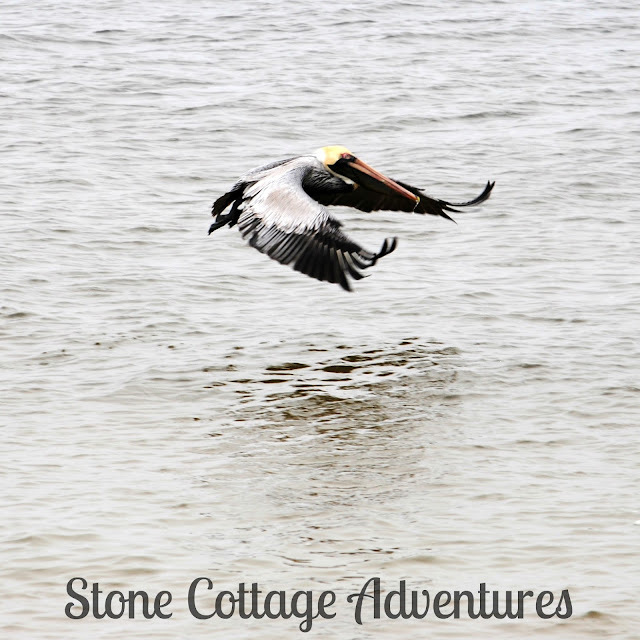 We loved watching them land in the water since they are rather inelegant about it. I love seeing Pelicans! They are such beautiful creatures. Pelicans are one of my favourite birds. Thanks for sharing with us at #overthemoon link party. I've pinned and shared. Have a great week and hope to see you link up next time. Wow - I live in Northern France so no Pelicans here. I have seen them in a zoo and I have to say they are very impressive birds - THAT beak!!! Do you know if they are common in the wild?